Androderm: A testosterone patch marketed by Actavis. AndroGel: A topical testosterone gel marketed by Abbvie, Inc.
Axiron: A topical testosterone cream marketed by Eli Lilly & Co.
Bio-T-Gel: A topical testosterone gel marketed by Teva Pharmaceuticals. Fortesta: A topical testosterone gel marketed by Endo Pharmaceuticals. Striant: A buccal tablet (absorbed through the gums) marketed by Auxilium Pharmaceuticals. Testim: A topical testosterone gel marketed by Endo’s Auxilium subsidiary. Testopel:A subcutaneous testosterone pellet marketed by Auxilium. Thousands lawsuits have already been filed on behalf of men who suffered heart attacks and other cardiovascular injuries allegedly related to the use of these medications. Tentative testosterone settlements have recently been announced to resolve cases involving Testim, Axiron and other drugs. The attorneys at Gilman Law LLP are committed to ensuring that the victims of dangerous drug side effects obtain the justice they deserve. Filing a lawsuit may be the only way for you and your family to recover compensation for the medical bills and other damages related to your injuries. But time to file a claim may be running out! CONTACT US NOW! Any Delay May Result in A Complete Bar to Your Testosterone Lawsuit Regardless of Its Merit! Anyone seeking legal assistance with a claim is encouraged to contact Gilman Law LLP as soon as possible. 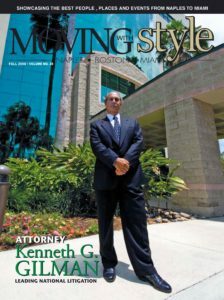 Call TOLL FREE at 888-252-0048, or submit a free legal consultation form online at the firm’s website. Millions of men have used testosterone replacement drugs like Androgel, Testim and Axiron to cope with symptoms associated with age-related drops in testosterone. Most where unaware that the drugs had never been tested or approved by the U.S. Food & Drug Administration (FDA) for this purpose. Thanks to allegedly misleading advertising, they were led to believe that testosterone drugs were a safe and effective remedy for weight gain, muscle loss, fatigue, low libido and other issues men often experience as they grow older. Among other things, testosterone increases the production of red blood cells, which makes blood thicker. This increases the risk of heart attacks, strokes and blood clots, especially in older men who may have narrow arteries or preexisting cardiovascular disease. According to a recent study published in the Journal of the American Medical Association, men who take testosterone drugs are 40% more likely to suffer a heart attack, stroke or death. In men aged 65 and older, the risk more than DOUBLED within the first 90 days of treatment. And in men under 65 who had a history of heart disease, the risk almost TRIPLED! On March 3, 2015, the FDA released a Drug Safety Communication calling for new label warnings for all prescription testosterone treatments. The updated labels now include a warning that testosterone replacement therapy may increase the risk of cardiovascular problems, including heart attacks and strokes. The new labels also clearly state that prescription testosterone drugs are only approved for men who have been diagnosed with hypogonadism (low testosterone secondary to another medical condition) following two serum testosterone tests. Thousands of prescription testosterone lawsuits are currently consolidated before a single judge in the U.S. District Court, Northern District of Illinois. Two juries have already awarded plaintiffs in AndroGel lawsuits verdicts of $150 million and $140 million. In December 2017, Eli Lilly announced that it had agreed to settle all Axiron lawsuits. A testosterone settlement was proposed in February 2018 that could resolve all cardiovascular injury claims involving Testim and other medications marketed by Endo and its Auxilium subsidiary. The attorneys at Gilman Law LLP are available now to provide free legal consultations to the victims of possible testosterone side effects. For a free, no-obligation review of your potential lawsuit, or to learn if you qualify for a testosterone settlement. 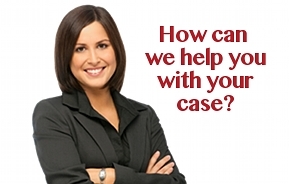 Please fill out our free consultation form or call us direct to speak with one of our attorneys at (888) 252-0048.